So, I know it’s been a while. Work has been really busy, and we’re all adjusting to our new chef. It’s the very beginning of wedding season, so we’re all looking forward to a very busy couple of months! But onto our dessert! Yesterday I made saffron and honey pots de creme. Pot de creme literally translates to “pot of cream” or “pot of custard,” and that’s just what it is, a simple, creamy baked custard. Les ingrédients. It’s amazing what you can make out of so few elements! Steeping the cream with the saffron, vanilla, and honey. This recipe only calls for a pinch of saffron, although my pinch was a little heavy just because the variety I had was very light in flavour. Cooking with a waterbath in the oven. 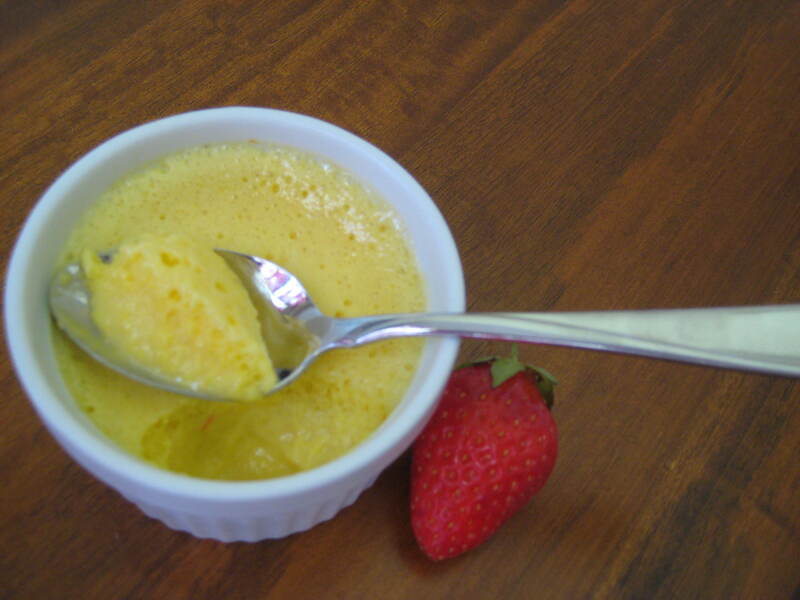 The result is a very soft, creamy custard, not unlike flan or creme brulee. The saffron and honey give it a delicate floral flavor, as well as a very light earthy tone. Preheat your oven to 300F, and bring a small pot or kettle of water to a boil. 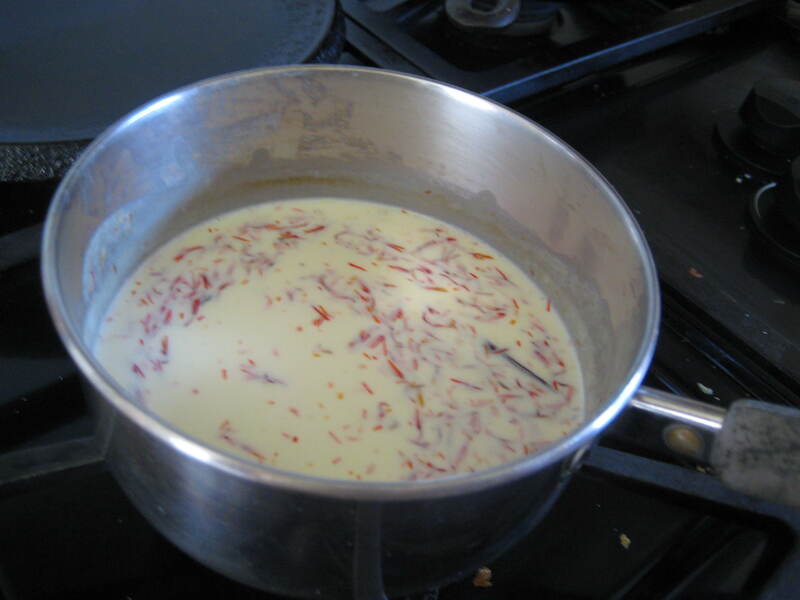 In a small saucepot, combine heavy cream, saffron, honey, and vanilla beans and pod and bring to a gentle simmer. Turn off heat and let steep 5 minutes. In a bowl of an electric mixer, combine egg yolks and sugar and whisk together on medium-high speed until eggs are very pale and light. 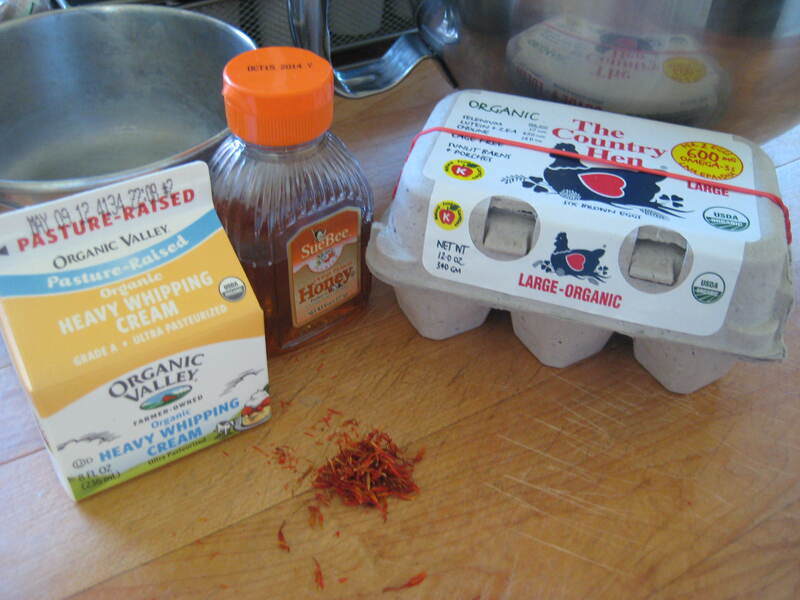 With a fine mesh sieve, strain out saffron and vanilla pod from cream mixture, and with the mixer running, slowly stream hot cream into egg mixture. Let mix until thoroughly combined. 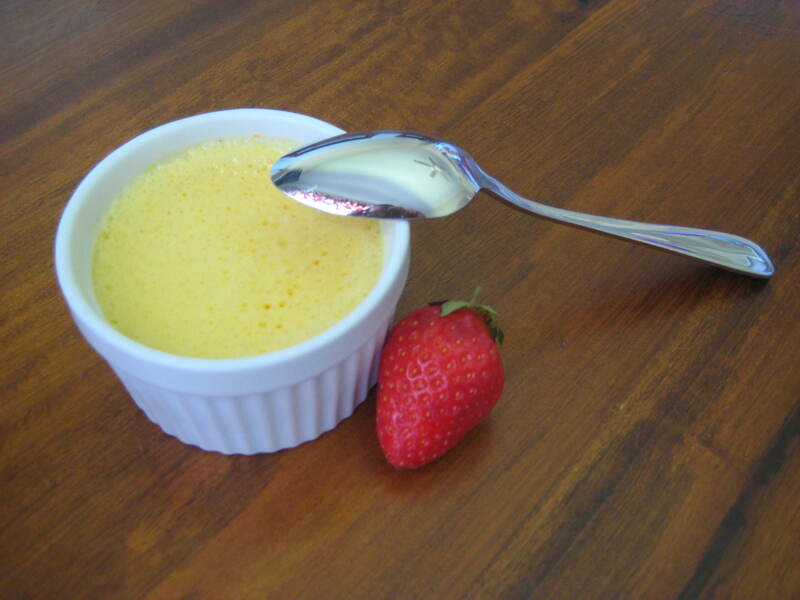 Divide custard between 4 ramekins, then place ramekins in a shallow baking dish. 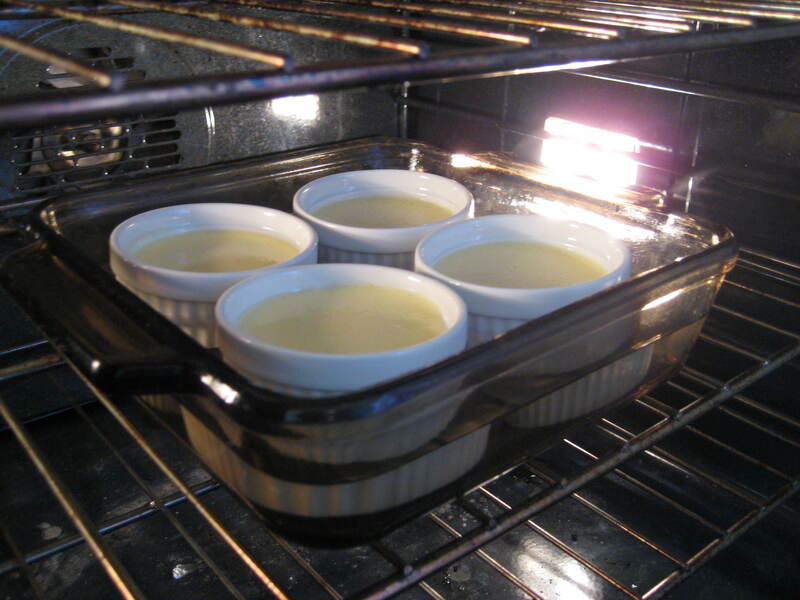 Add enough of your hot water to the baking dish so that it comes halfway up the sides of the ramekins, as pictured. Carefully place in oven, bake at 300F for 30-35 minutes or until the centers of the custards jiggle slightly when shaken. When done baking, remove from oven and let sit until cooled to room temperature. Cover with plastic wrap and refrigerate until chilled, preferably overnight.